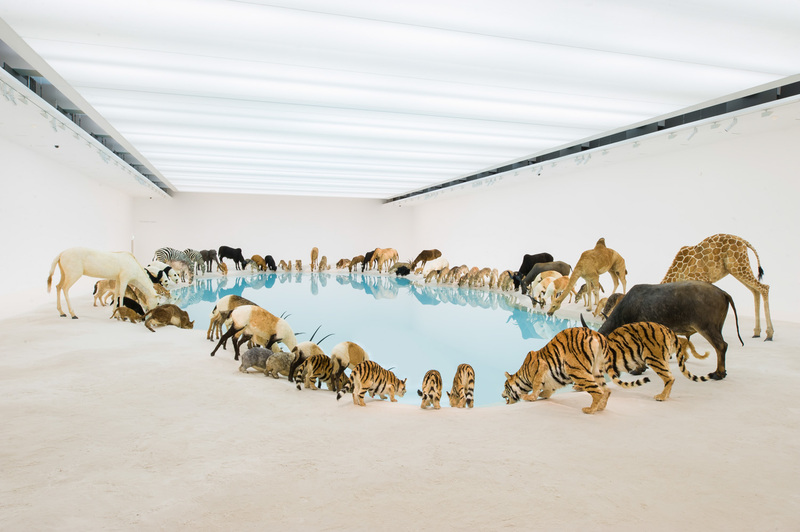 Falling Back to Earth – Cai’s first solo exhibition in Australia – opened on November 23, 2013, at the Gallery of Modern Art. The exhibition focuses on humanity’s relationship with nature and was inspired by the unique landscapes of Queensland and Chinese literati (scholarly) painting and poetry, evoking the yearning for nature and home expressed in Tao Yuanming’s classic fourth-century poem ‘Ah, Homeward Bound I Go!’. The works in this exhibition reflect on the idea of coming full circle – of struggling through the obstacles we face as humans in our relationships both with our environments and with each other – to better appreciate the value of where we are now, at a particular place and time. The exhibition builds on a longstanding working relationship between the artist and the Gallery, which dates back to Cai’s participation in the Asia Pacific Triennial of Contemporary Art exhibitions in 1996 and 1999. 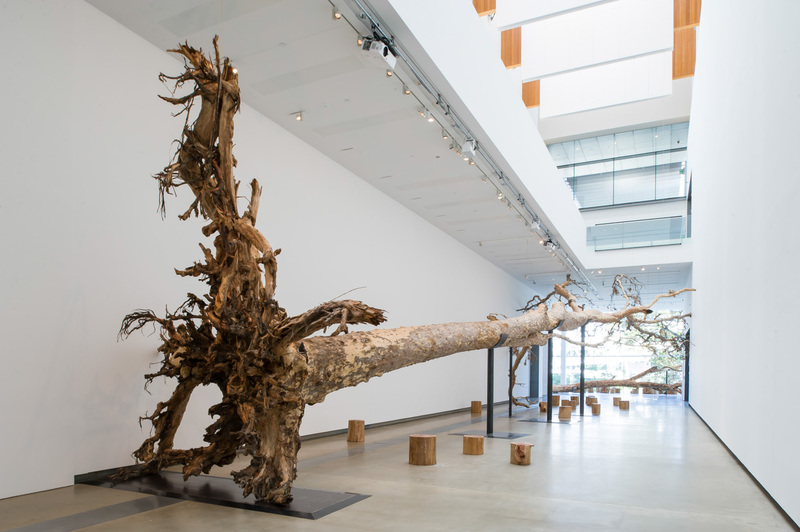 It consists of four installations, including two new commissioned works inspired by the Queensland landscape – Heritage and Eucalyptus – and Tea Pavilion, a space for visitors to rest, along with one of his signature works, Head On. Additionally, it features a series of new interactive projects, an animation and a book for children developed by the artist and the Children’s Art Centre. Also on display in the Asian galleries at the Queensland Art Gallery is Cai’s major gunpowder work Nine Dragon Wall (Drawing for Dragon or Rainbow Serpent: A Myth Glorified or Feared: Project for Extraterrestrials No.28), created for the second Asia Pacific Triennial of Contemporary Art in 1996. 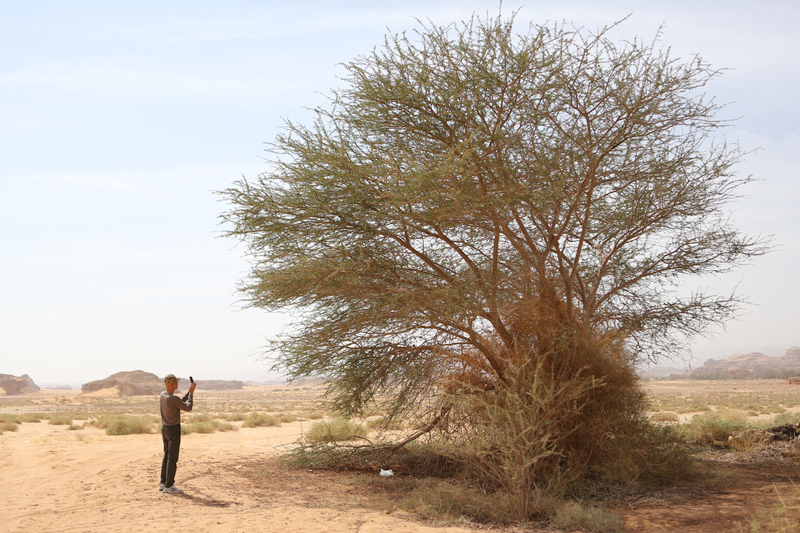 Enjoy photographs from the exhibition below! 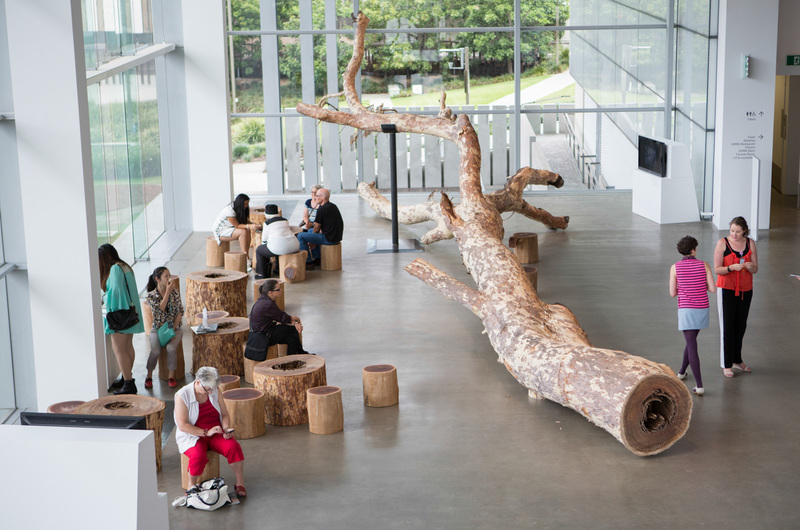 Installation view of Eucalyptus at the Gallery of Modern Art, Brisbane, 2013. Photo by Natasha Harth, courtesy Queensland Art Gallery | Gallery of Modern Art. 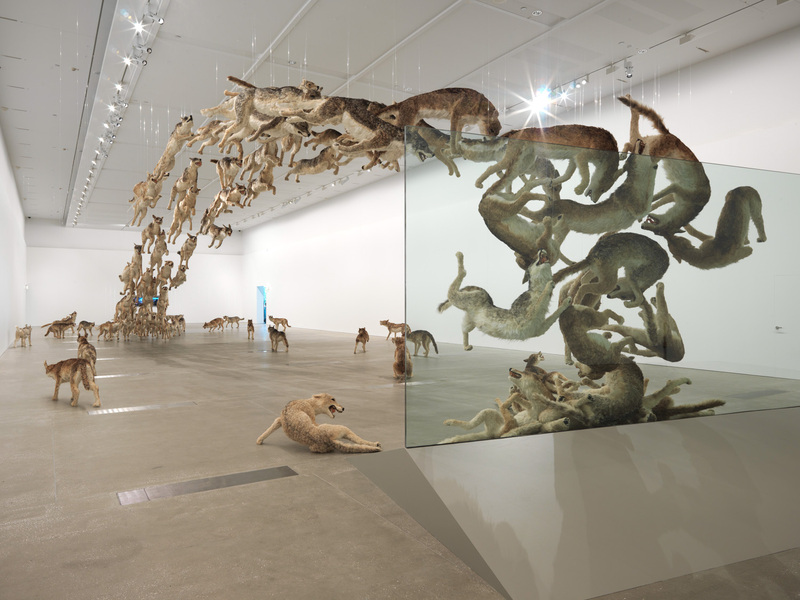 Installation view of Head On at the Gallery of Modern Art, Brisbane, 2013. Photo by Natasha Harth, courtesy Queensland Art Gallery | Gallery of Modern Art. Visitors sampling Fujian Tie Guan Yin tea in Cai Guo-Qiang’s installation Tea Pavilion, Gallery of Modern Art, Brisbane, 2013. Photo by Yuyu Chen, courtesy Cai Studio. 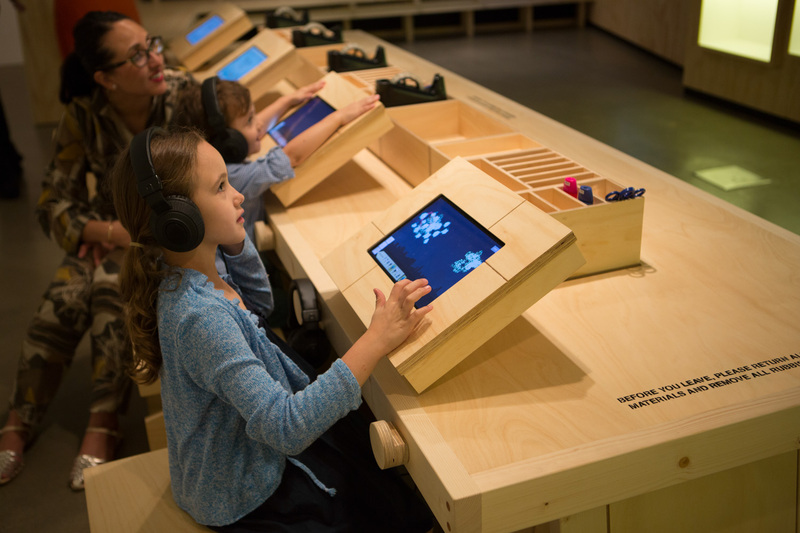 Children using an interactive app to design virtual fireworks in Let’s Create an Exhibition with a Boy Named Cai at Children Art Centre, Gallery of Modern Art, Brisbane, 2013. Photo by Yuyu Chen, courtesy Cai Studio. 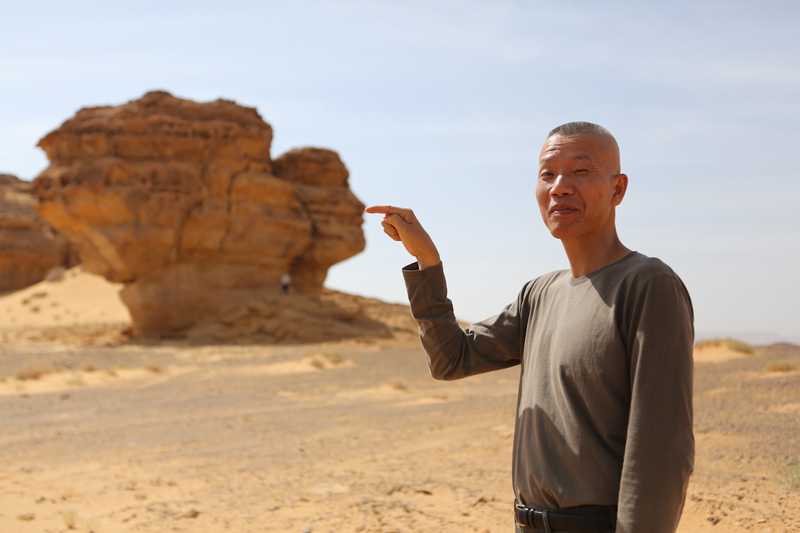 In mid-October, Cai and a few staff members went to Saudi Arabia—their second site visit to the country. 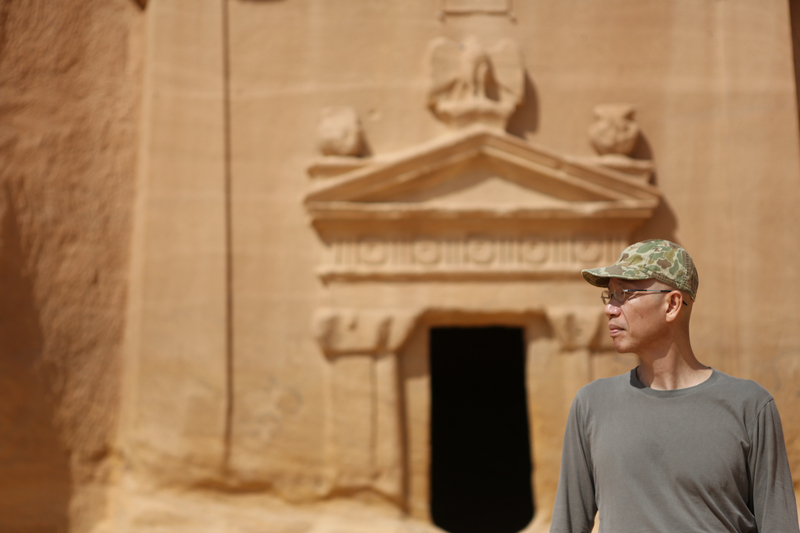 This time, they travelled to Al-Ula and Mada’in Saleh, where they saw the Nabatean tombs and took in the scenery. Here are some photos for your enjoyment!